Batman would be jealous of our tool belt! 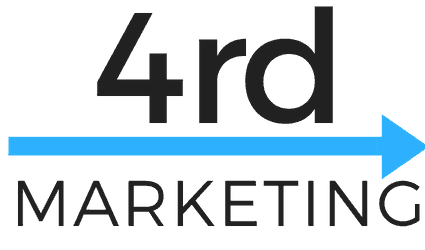 4rd Marketing is an Atlanta based digital marketing agency and offers a wide range of digital marketing services. We work together with your business to achieve your goals with the latest tools and skills in Digital Marketing. If we had to pick one specialty it’s SEO. SEO is foundational and crucial to long term success on the interwebs. Our SEO services are designed with your ROI in mind. From our perspective, you can’t have an Atlanta Digital Marketing Agency without having an SEO expert on staff. Part of our local seo product, 4rd Local. We monitor your reviews and at the same time allow you to respond and increase your reviews. All wrapped in a strategy to generate more leads. In the world of Digital Marketing, reviews have become a new currency for ranking on several platforms. The key to any good SEO program is building links. Our Atlanta Digital Marketing company doubles as a PR “Lite” for you and gets guest posts and mentions for your brand as part of our service. We also have a la carte options with 3rd parties for high end links should you wish to really push outreach. Not a Typo, Local SEO is a separate discipline altogether. For local business, local seo is the low hanging fruit often because it means competing with local competitors on Google Maps vs national competitor for “keywords.” As a digital marketing agency, this is one the biggest missed opportunities we see for small businesses in Atlanta. SEM – (AKA PPC) at it’s core is the quick start that many businesses need. We manage your PPC campaigns in a simple and accountable way. Depending on your needs we can help with sales funnel, sales processes, landing pages, etc. We offer a full suite of web devlopment services aimed at small businesses and service professionals. Real Estate SEO is much better on Real Estate Websites and Financial Planners (and others) will see more success on custom built websites vs company provided ones.